Is credit card debt weighing you down? If so, you’re not alone. A recent review by ASIC found that more than one in six Australian consumers struggle with it. In June 2017, Australians had outstanding credit balances totalling $45 billion. In 2016-17, $1.5 billion in card fees were charged. RateCity’s database shows that the average credit card interest rate in April 2018 was 16.87 percent. The report also found that cards often don’t meet consumers’ needs. For example, many people owe amounts on cards with high interest rates, when lower-rate products would save them money. 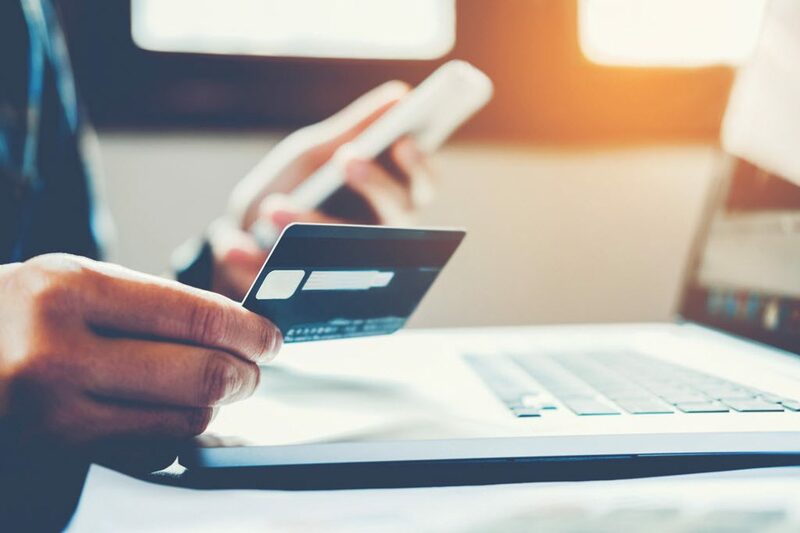 “Our findings confirm the risk that credit cards cause with financial difficulty for many Australian consumers,” ASIC Deputy Chair Peter Kell said. But there’s better news. These ten tips for managing credit card debt from ASIC‘s Money Smart will help get your debt under control. It can be easy to spend when you don’t see the money coming out of your wallet, but apps like ASIC’S TrackMySPEND help you stay in control. You can nominate a spending limit, view your expense history and more – helping you to track your progress. Setting a credit limit that you know you can repay will also help you avoid the temptation to spend more than you can afford. Late payment fees and extra interest add up to more debt. Avoid these by making sure you pay at least the minimum monthly amount on time. To make it even easier, set up a direct debit to pay enough to cover at least the minimum payment off your card every payday. This significantly helps to reduce the amount of interest you’ll need to pay compared to only making the minimum repayments, so you’ll pay down debt faster. ASIC’s credit card calculator can help you work out the fastest way to pay off your card. At current interest rates, a debt of $2000 will take more than 18 years to pay off if you’re only making the minimum repayment! Interest rates on credit cards vary from below 10 to above 20 per cent, so it could be worth switching – especially if you’re struggling to pay more than the minimum monthly repayment. ASIC has further information on how to make credit card balance transfers work for you. If you transfer your balance or close an account after you’ve paid it, it’s not as simple as chopping up your card. If you don’t do it right, you could still be charged fees, even if you no longer use the card. MoneySmart has advice on how to shut down accounts correctly to help avoid these problems. Using credit or a cash advance to cover unexpected expenses may only land you in more financial trouble later. Instead, consider putting money aside as a buffer for life’s inevitable dramas. Talk to a financial planner about a savings plan or visit MoneySmart’s page on building an emergency fund. It’s also wise to avoid increasing your card limit in these situations. If there’s no other option, aim to pay the debt quickly, then reduce your limit again. It can be tempting to sign up for cards at your favourite stores,especially when they offer bonuses like rewards points or discounts. Before you do, check the terms and conditions to make sure any savings won’t be eaten up in fees or higher interest rates. Doing this will help ensure you’ve been charged the right amount for what you have bought, and that you’re not charged for anything you haven’t. The best way to do this is to check your monthly statement against your receipts. Look out for charges by companies you don’t recognise, duplicate charges and changes in direct debit amounts. If you find any transactions you didn’t make, contact your provider immediately, as they might be able to reverse the transaction. There are two options for choosing which card to pay down first. Pay off the card with the highest interest rate first, while still making minimum payments on all cards. Pay more on the one with the highest interest rate. Pay off the card with the smallest debt first. Keep making minimum payments on all cards and pay down the card with the smallest debt before moving on to the next smallest one. If managing debt seems too hard, get help as soon as possible. Contact your credit provider, they might be able to arrange a manageable repayment plan with you. You can also get help from a financial counsellor who can provide free advice for anyone with financial problems. Credit card debt may be stressful, but with the right strategies it’s possible to get your finances back on track.